Your FAMILY stories are worth preserving. 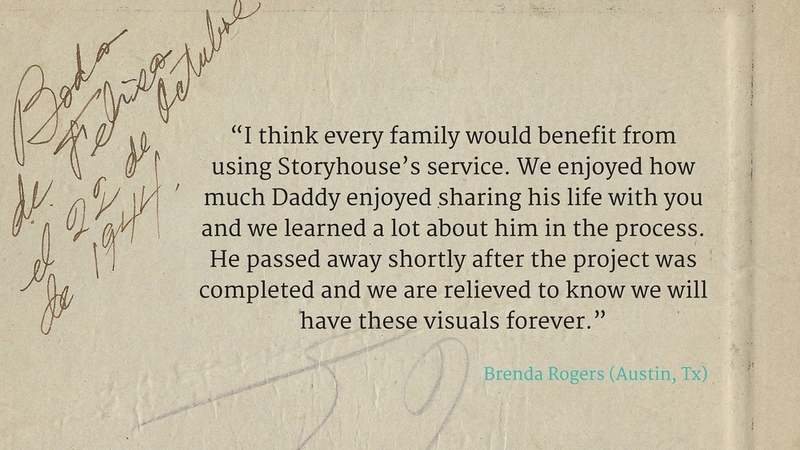 Storyhouse helps you gather your favorite family anecdotes, jokes, and recipes, photos and videos. We combine those elements into a book, video or website so those memories can be shared now and for generations to come. Our focus is on stories that are at risk of being lost, but we know everyone has a story to tell, so let us help you add a meaningful layer to your next family reunion, wedding or 50th wedding anniversary! The best way to begin the discovery of your rich family stories is to start with heart of most of our homes -- the kitchen. What would you do if you couldn't reproduce your Grandma Tillie's famous sugar cookies? 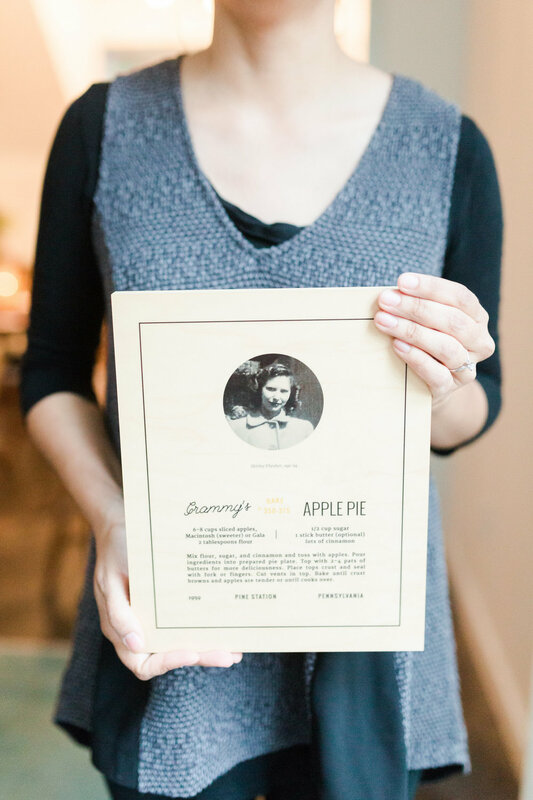 Take a moment to gather the recipe, a photo of the chef and maybe your favorite quote or two and let us produce a family memory you can display in your kitchen now and for generations to come! We had the distinct privilege of interviewing Ms. Olyvia Green, one of the first African American teachers to integrate the Austin Independent School District. We were honored to help preserve her story for her former faculty and students, but most importantly, it brings us great joy to know her family will forever have access to these stories.